Eight days after two journalists were fatally shot during a live broadcast at a Virginia resort, several Democratic legislators produced a petition with nearly 28,000 signatures supporting expanded background checks for gun buyers. The northern Virginia lawmakers unveiled the petition Thursday at a news conference in Arlington. Del. Patrick Hope, who organized the petition drive, said he will submit legislation in the 2016 General Assembly to require universal background checks for gun purchasers – a proposal that has been rejected in previous sessions. Currently, private sales – including those conducted at gun shows – are not subject to background checks. Hope and like-minded lawmakers face an uphill struggle in the General Assembly. Since the 2007 Virginia Tech shootings, legislators have actually worked to loosen gun regulations – allowing concealed weapons permit holders to carry guns in bars and repealing the state’s one-handgun-a-month purchase limit, for example. “Sooner or later, we reach a point where it’s our fault,” Hope said. Gun control legislation historically is killed on an unrecorded vote in a House of Delegates subcommittee. Hope said the November election, when all 140 legislative seats are on the ballot, combined with growing public support for “common-sense gun violence prevention legislation” provides a glimmer of hope that the trend can be reversed. Philip Van Cleave, president of the Virginia Citizens Defense League gun-rights group, said universal background checks would be ineffective in combatting gun violence. “Just about every mass shooter in the last 10 years has passed a background check,” he said. Vester Flanagan legally purchased the Glock handgun he used to kill his former WDBJ-TV colleagues, Alison Parker and Adam Ward, on Aug. 29 at Smith Mountain Lake. 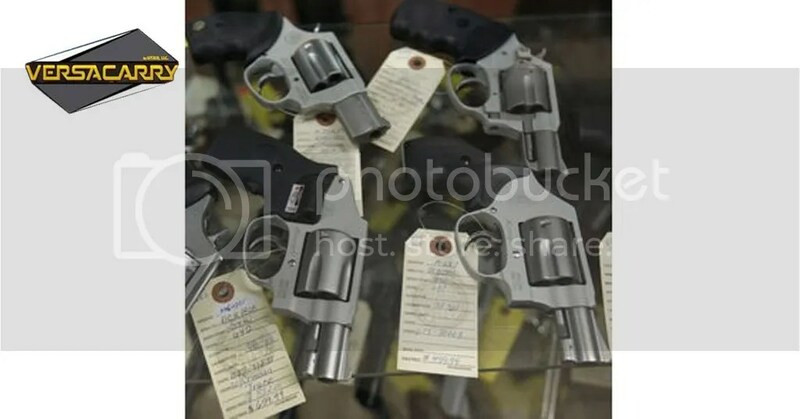 Van Cleave said that even if someone who is not legally allowed to possess a gun wants one, it’s easy enough to arrange a straw purchase or buy one on the black market. Del. Eileen Filler-Corn, D-Fairfax, said no legislation can stop all gun crimes, but lawmakers should do as much as they can. She said she will reintroduce her previously unsuccessful measure to prohibit anyone subject to a protective order from possessing a gun. A person who is deemed a threat to another should not be allowed to carry a firearm, she said. Van Cleave said he opposes the bill because protection orders are issued without prior notice to the person who is subject to the order. Democratic Gov. Terry McAuliffe and Alison Parker’s father, Andy Parker, have vowed to press for tighter gun restrictions.